What a Result in our 2017 £50 Challenge fund raiser! This summer, the staff of Codair Design & Publicity worked hard to raise as much money as possible in this year’s Birkett Long £50 Challenge. As well as fundraising in our offices, Mandy Cant, Jodi Meadows and their team organised a Boot Sale, Car Wash, Quiz Night, Casino Night and a very brave David Wilson underwent a sponsored head shave. As a result of all these efforts we managed to turn £50 into £4,500. 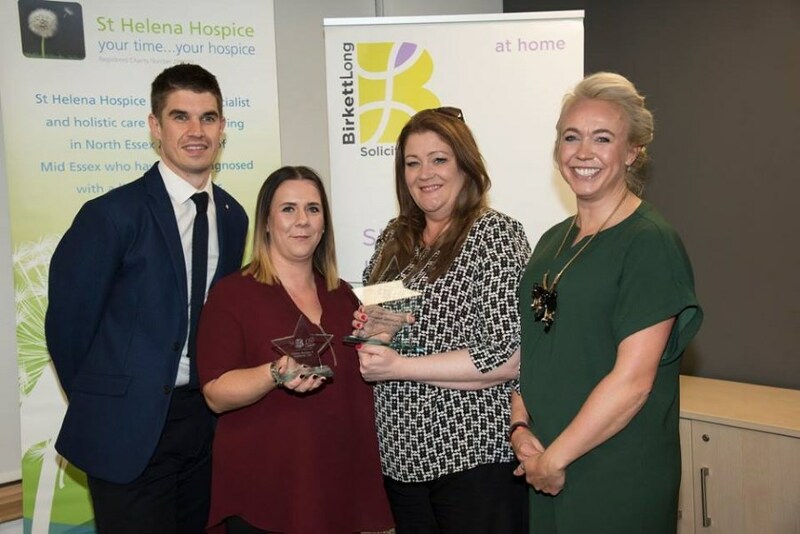 Our photo above shows our MD, Terry Knight; Jodi and Mandy proudly collecting the awards in the recent awards ceremony. 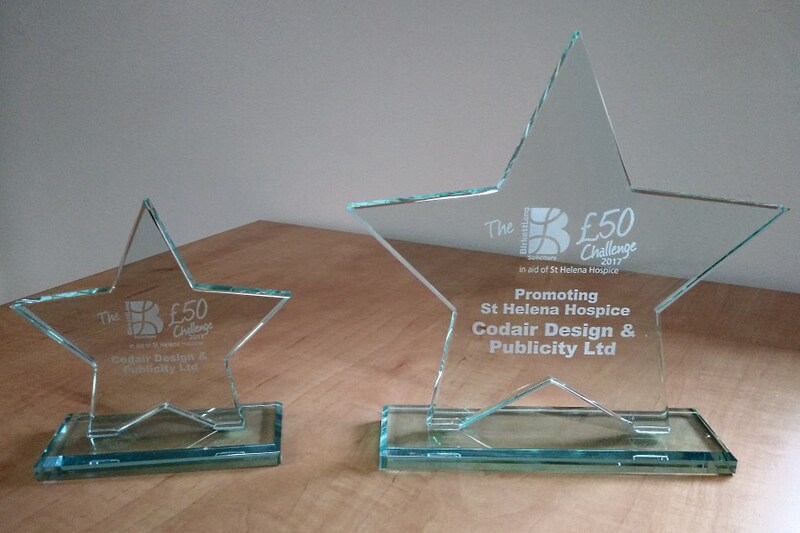 This included a bonus award for Promoting St Helena Hospice in 2017. A fitting result for all the effort the team, staff and friends of Codair Design & Publicity put in to make this year’s event such a success. And it didn’t quite finish there. 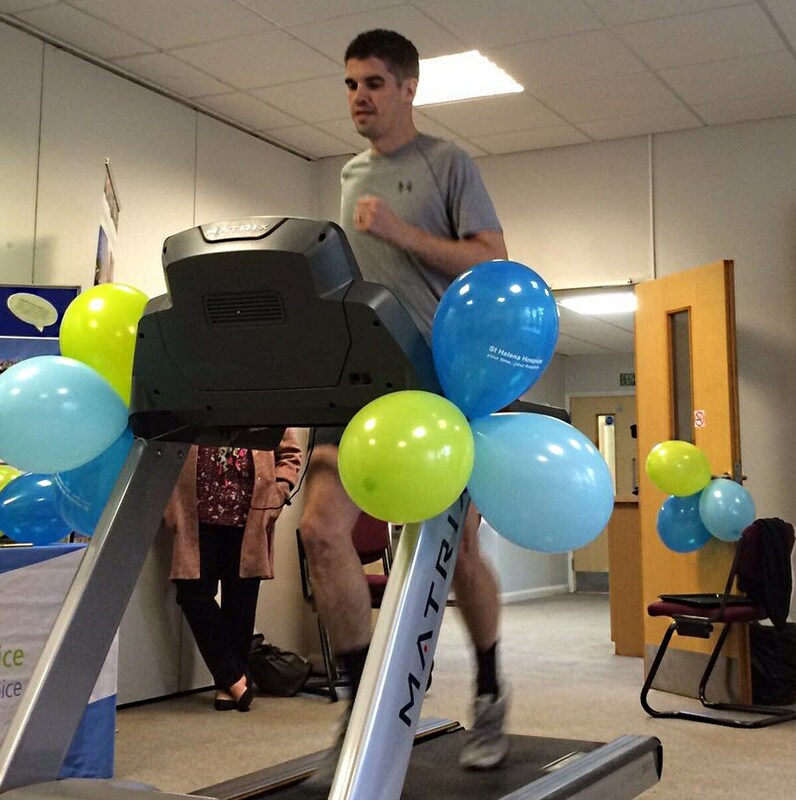 Always up for a physical challenge, Terry Knight took on the ‘Beat the Boss’ treadmill challenge. 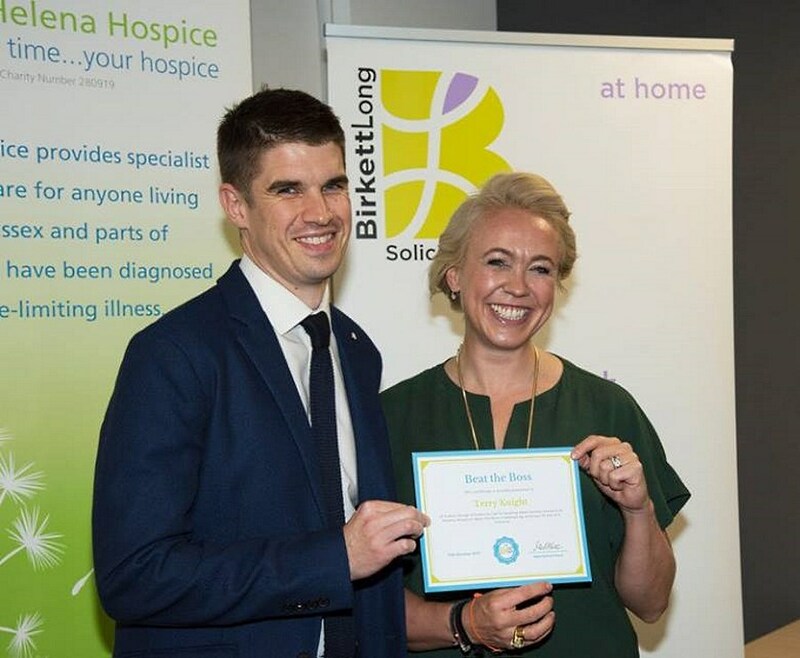 By covering an equivalent distance of 1.3 km in 5 minutes he beat St Helena Hospice CEO Mark Jarman-Howe and was presented with a certificate to the effect. Well done Terry.